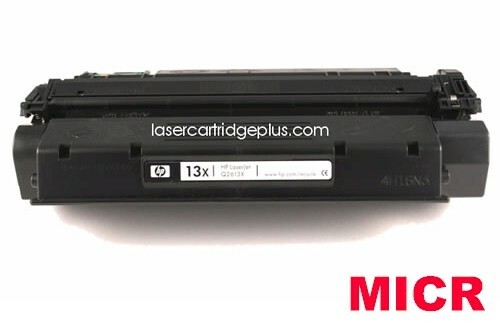 Q2613A MICR - HP Laserjet 1300 MICR Toner Cartridge - Print your own checks with our HP compatible Q2613A MICR Toner. Most HP laser printers can be used as a laser check printer. All you need is a MICR cartridge, check paper, and check printing software. You will be able to print check stubs, print checks in quickbooks and any other check software. This Q2613A MICR is a standard yield cartridge of the Q2613X. This MICR Laser Toner Cartridge is a compatible black toner used in MICR check printing. For use in HP LaserJet 1300, 1300n, 1300xi, Troy MICR 1300 printers. 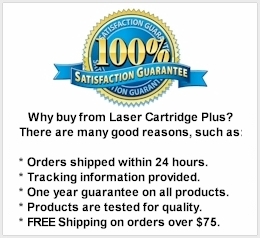 Compatible with MICR Cartridges: Q2613A, Q2613X, TJN-13A, 02-81128-001.